Here's a map that I drew for a small kingdom called Pendria. It will be populated with humans who have some fey blood in their ancestry. Some are believed to have innate magical ability. I moved my photobucket files around...I will fix it up now. Cool, any updates on the interior? The location of (New) Wickersham, Ulfstead, Harkbone and Cormandy Road, for instance? Wouter wrote: Cool, any updates on the interior? The location of (New) Wickersham, Ulfstead, Harkbone and Cormandy Road, for instance? 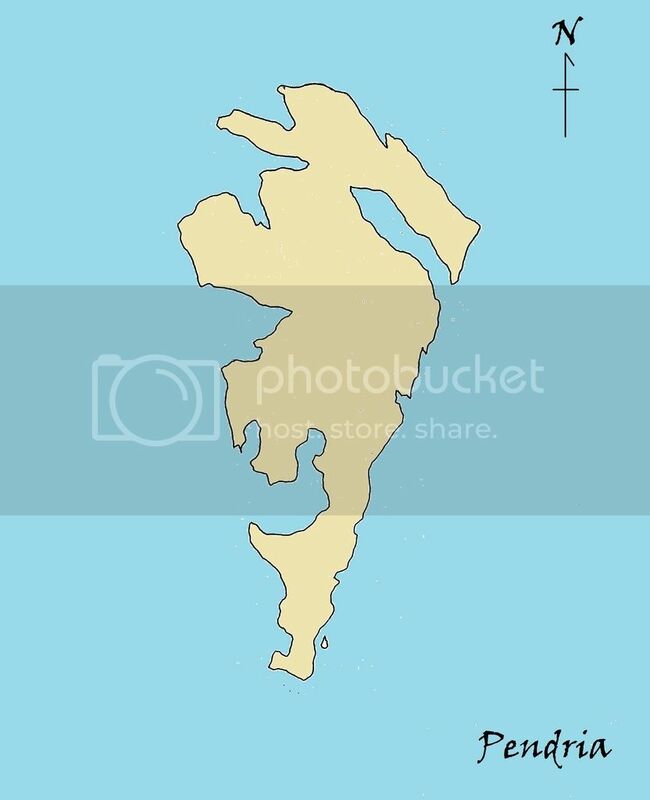 The map that you see here is actually one island kingdom called Pendria. It is the last part of the great Pendrian Empire of Man. The rest was destroyed in during God Fall. Cormandy is part of a larger area to the north of this island. I know it's confusing. I called the game and the area in which we play the same thing--Pendria. Here's a simple map of the area around Wickersham. I have added a couple villages where the PCs have explored. It was done with web based mapping program inkarnate. I like it, but it is limited.